Sherri and Neil's celebration overlooked the Pacific Ocean, was filled with an abundance of fragrant and fresh florals and was in the company of all of their loved ones. Their entire event design was flawless and we are so glad that we could be a part of it. 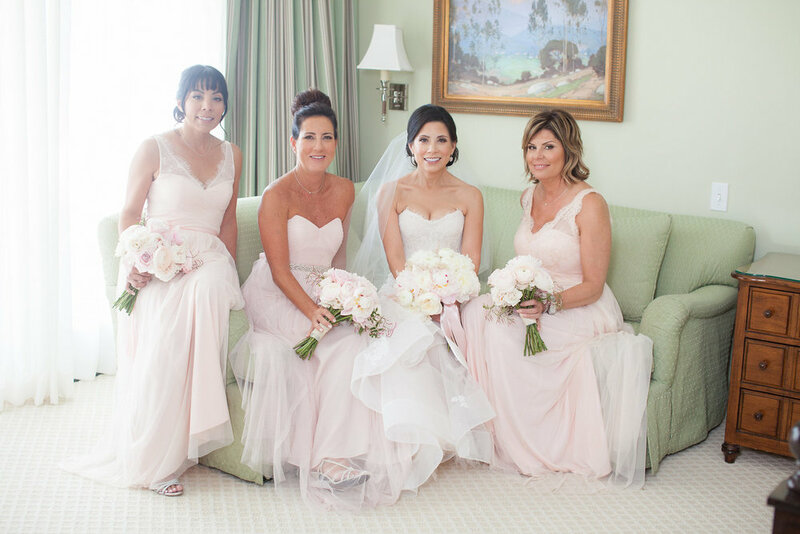 Sherri and Neil chose a color palette that complimented the tint of the bright ocean, and also Sherri's bridesmaids. 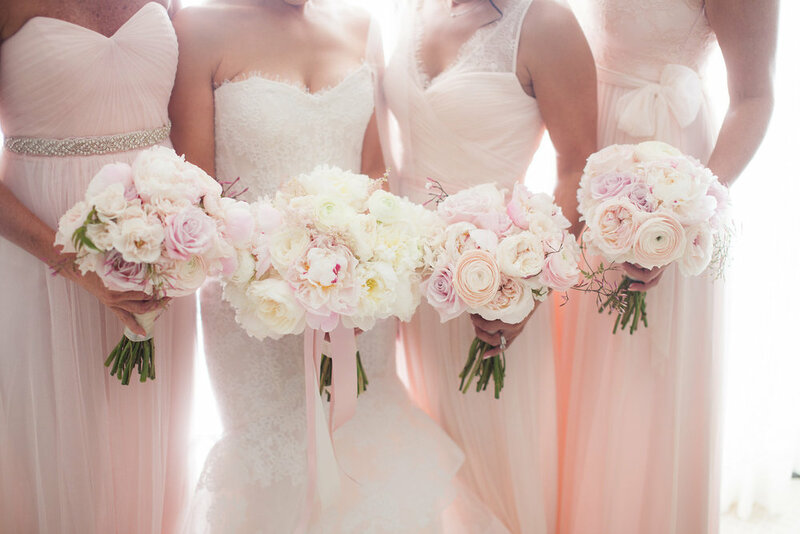 Hues of pinks were mixed with white throughout the celebration and carried out into every detail of their wedding. 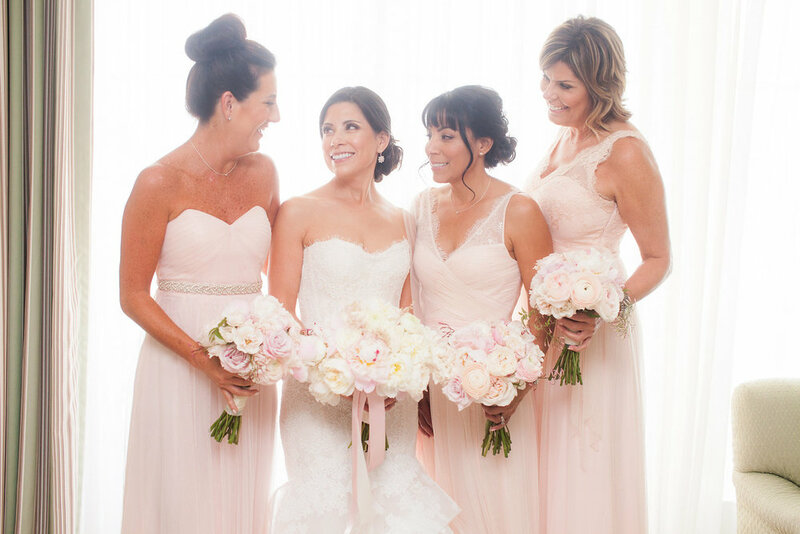 We created magical bouquets for Sherri and her bridesmaids that were filled with fragrant peonies and roses. 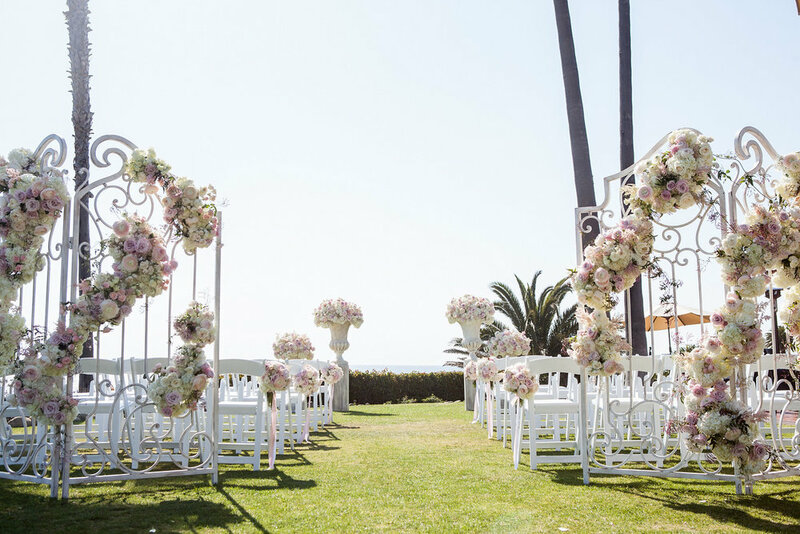 As decoration for the ceremony, we draped floral garlands that were accented with greenery among white painted gates. Large floral arrangements were displayed on stone pedistols that complimented the view of the ocean. Sherri and Neil's special day was truly beautiful, memorable and magical. Photographer: John & Joseph Photography Inc.